We had a lovely evening workshop last Thursday night at our studio - part of our Cabernet, Canvas & Color Series. Attendees spent their time creating, laughing and painting the night away. We even had a few attendees who have never even picked up a paint brush before. They all did such a wonderful job! 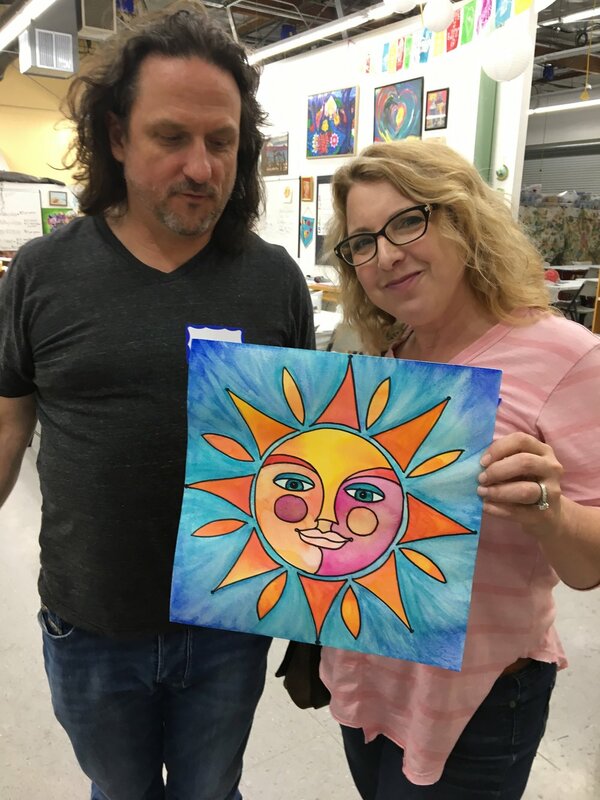 Posted on June 28, 2018 by Cordelia Miller and tagged Art Trek Cabernet Night Cabernet Canvas & Color Summer Sun Summer Solstice Solstice TBT Throwback Thursday watercolor workshop watercolor.